1.1 These terms and conditions govern Suzuki's Capped Price Service Program (Program). 1.2 Subject to clause 6.1 Suzuki reserves the right to amend these terms and conditions from time to time without notice. 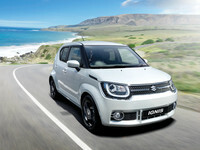 Suzuki will publish the amended terms and conditions on www.suzuki.com.au which will take immediate effect for any services booked after the date of publication. Under this Program eligible vehicles are entitled to obtain Standard Scheduled Services at maximum capped prices for a period of up to five (5) years or 100,000 kilometers (whichever occurs first) subject to these terms and conditions. Only services set out in the "Inspection and Maintenance for Normal Operating Conditions" Schedule contained in the “Warranty and Service Record Booklet” for the eligible vehicle (Standard Scheduled Services) are covered under the Program. This includes all items listed for each Standard Scheduled Service as set out in the “Warranty and Service Record Booklet” including, but not limited to, inspection and adjustment of all items listed and genuine Suzuki parts, labour and fluids required for each Standard Scheduled Service. 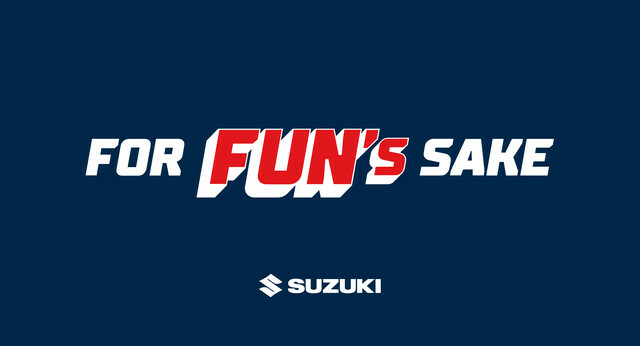 - Additional maintenance and repairs recommended by your servicing Participating Suzuki Dealer to suit your driving needs. 4.2 The Participating Suzuki Dealer carrying out the Standard Scheduled Service will advise you and request your consent if any additional service/repair items which are not covered under the Program are required to your vehicle and the amount you will be required to pay prior to the additional service/repair items being undertaken. 5. Where can a capped price Standard Scheduled Service be carried out? 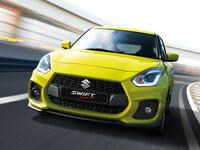 Only at a participating authorised Suzuki Dealer located in Australia (Participating Suzuki Dealers). Standard Scheduled Services carried out by non-authorised Suzuki Dealers are not covered under this Program. 6. 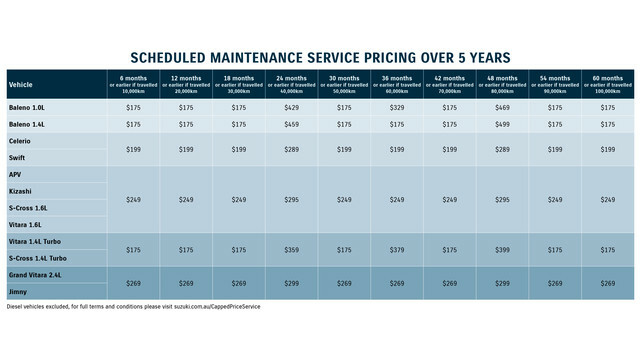 What is the capped price for each Standard Scheduled Service? 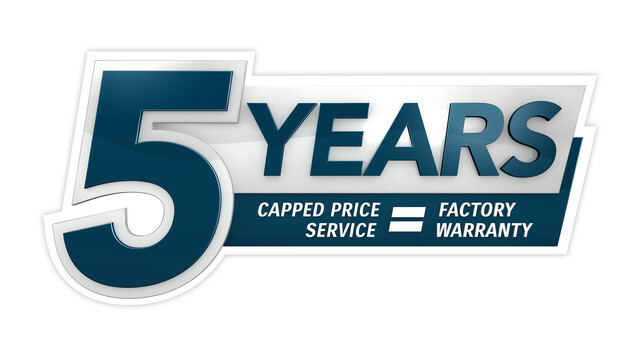 6.1 The capped price payable for each Standard Scheduled Service for an eligible vehicle is the capped price in effect on the date the vehicle is originally purchased from a Participating Suzuki Dealer. During the term the Program applies to an eligible vehicle (as set out at section 8 below), Suzuki will not increase the capped price which applies to each eligible Standard Scheduled Service for that vehicle. 6.2 Any changes to the capped price for Standard Scheduled Services will only apply to eligible Suzuki vehicles purchased after the date of publication of the new capped prices on Suzuki's website at www.suzuki.com.au. 7. Which Suzuki vehicles are eligible? 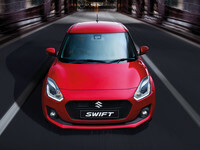 7.1 The Program applies to all Suzuki vehicles originally purchased from a Participating Suzuki Dealer that are registered for the first time after 1st May 2013, except for those vehicles listed at 7.2 below. 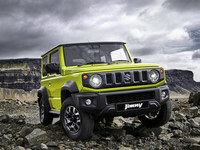 - any Suzuki diesel powered vehicle. 7.3 For the avoidance of doubt, the Program is assigned to a vehicle and not the owner. A vehicle which complies with the eligibility requirements specified in these terms and conditions will remain eligible for the Program despite any lawful transfer of ownership. 8. When does the Program become effective and when does it cease? 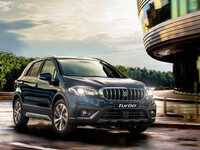 - the expiry of 60 months from the original registration of warranty date or 100,000kms (whichever occurs first). 9. When should a Standard Scheduled Service be carried out? 9.1 Subject to section 10 below, servicing under the Program is to be carried every 6 months or earlier if vehicle has travelled 10,000kms. These are the "Service Due Dates" and are the same as the recommended service intervals set out in the “Warranty and Service Record Booklet” for the eligible vehicle. 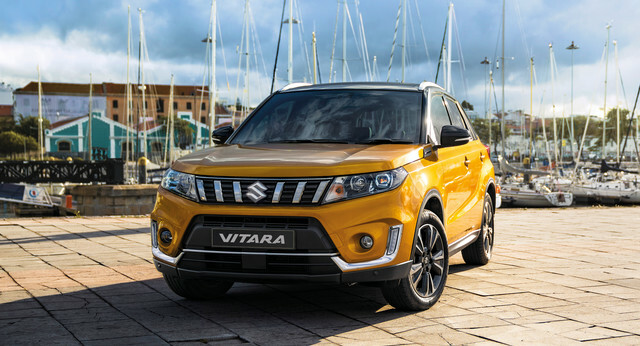 9.2 It is your responsibility to ensure that each Standard Scheduled Service contained in the “Warranty and Service Record Booklet” for your Suzuki vehicle is carried out according to the specified service intervals. If you miss a Standard Scheduled Service, additional work may be required by the Participating Suzuki Dealer at the next Standard Scheduled Service at an additional cost to you. 10. When can I claim each of the capped price Standard Scheduled Services? 10.1 Capped price Standard Scheduled Services can only be claimed for services that are carried out within the service claim periods set out at 10.2 below. 10.3 You can arrange a capped price Standard Scheduled Service by contacting a Participating Suzuki Dealer and booking in your vehicle for a Standard Scheduled Service to take place within the service claim period set out above. 10.4 When the applicable service claim period for a specific Standard Scheduled Service expires, or you have claimed the Standard Scheduled Service for that service claim period, you will no longer be able to claim the capped price for that particular Standard Scheduled Service listed in the relevant Australian Supplement of the Owner's Manual. The next capped price Standard Scheduled Service will then be available in the applicable service claim period for that service (although you may have additional costs as a result of missing a Standard Scheduled Service). 10.5 It is your responsibility to ensure that the vehicle is serviced within the required service claim period. 10.6 Missing a Standard Scheduled Service, prolonged time between Standard Scheduled Services and/or not adhering to the applicable service claim periods, means you will relinquish the total number of Standard Scheduled Services available under the Program and you may have to pay additional costs when you next undertake a Standard Scheduled Service. 10.7 Suzuki recommends that you adhere to the recommended Standard Scheduled Services as set out in the “Warranty and Service Record Booklet” for the eligible vehicle to ensure you obtain the maximum benefit available under the Program. 10.8 Regular servicing of your Suzuki vehicle is important in order to maintain your vehicle’s optimal operating performance. 11. Can a capped price Standard Scheduled Service under the Program be transferred? 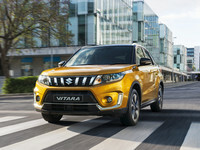 No, a capped price Standard Scheduled Service cannot be transferred to any other Suzuki vehicle and remains with the eligible Suzuki vehicle for the duration of the Program regardless of ownership. 12. Can I obtain a refund/credit/discount for any Standard Scheduled Services that I miss or which are not performed under the Program towards the remaining services? No. 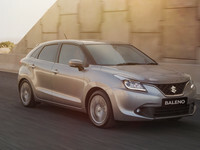 Customers are not entitled to any refunds, credits or discounts for any Standard Scheduled Service under the Program which has lapsed, been relinquished or are otherwise not performed by a Participating Suzuki Dealer with the applicable service claim period. It is your responsibility to ensure that all Standard Scheduled Services are carried out in compliance with the service claim periods specified under the Program. 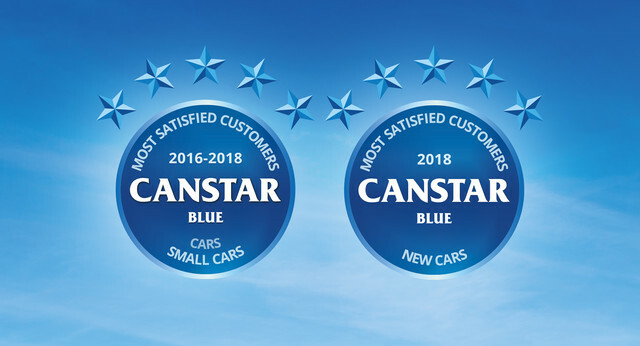 Any questions in relation to the Program and these terms and conditions can be directed to Suzuki Customer Care on 1800 777 088 or http://www.suzuki.com.au/enquiry. 14.1 Any Suzuki vehicle which is eligible to participate in the Program may be eligible for Suzuki's Warranty Extension program (Warranty Extension Program). 14.2 Under the Warranty Extension Program, provided that all Standard Scheduled Services specified in the “Warranty and Service Record Booklet” are performed within the specified service intervals by a Participating Suzuki Dealer while the new vehicle warranty remains in effect, Suzuki will extend the new vehicle warranty after the expiry of the initial term of 3 years/36 months or 100,000kms (whichever occurs first) in accordance with clause 14.3. 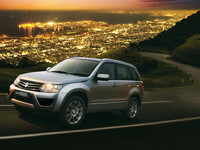 - if the vehicle is at the 3 years/36 months time period, by a further 6 months, (Warranty Extension Period). 14.4 Further Warranty Extension Periods will be granted each time a Standard Scheduled Service is performed in accordance with the “Warranty and Service Record Booklet” during the term of the extended warranty, up to a total maximum new vehicle warranty term of 140,000kms or 5 years/60 months (whichever occurs first).